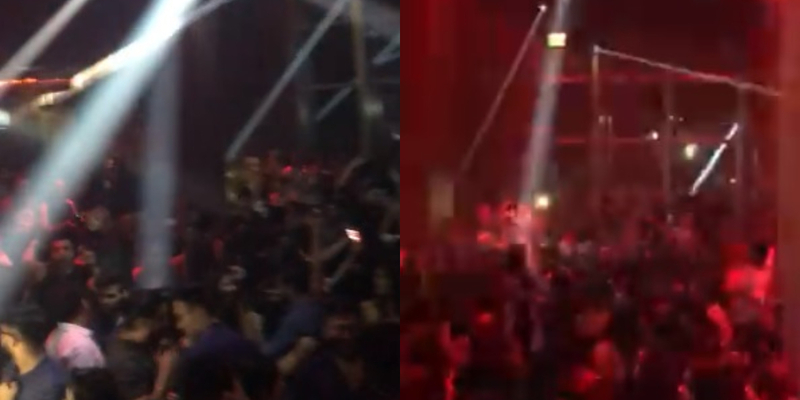 This Indian DJ At A Club In Dubai Did Something Special For Pakistanis And You Gotta LOVE It! Tabdeeli aa nahi rahi, Tabdeeli agae hai!!!! Aaand YES! Tabdeeli is here and all of us are going crazy! The excitement and happiness is everywhere and we are loving it. As soon as the election results were announced with PTI winning, there were smiles and celebrations all around and we could already feel tabdeeli in the air! At the same time, we cannot ignore other parties campaign songs, the tunes were upbeat and full of excitement, and yes they can be applauded for their efforts! Let’s go through them! The celebrations took place all around the world, be it London, Canada or Dubai. Our fellow Pakistani’s who were sad that they couldn’t vote did not let go of these celebrations. From dancing around and singing to patriotic songs, they were all boosted with patriotic energy and enchanting Naya Pakistan it was all over Facebook, Instagram, and Television. However, the video from a dance club in Dubai came as a surprise where PTI’s song was played and everyone danced to it. The song was dedicated to all the Pakistani’s while congratulating them for Naya Pakistan and people went crazy dancing around to the chants of Tabdeeli in the song. One can easily feel the adrenaline rush and enjoy the energy, and why not, we deserve it! Here we go, time to get up and dance! The following video was recorded at a club in DUBAIII for all the Pakistanis! And these comments made our day! And then some people added humor! With tabdeeli in the air, we pray that we all remain united and happy over the years to come! Imran Khan’s Incredible Victory Speech Is Being Loved By Indian Celebrities And We’re Amazed! This Pakistani Girl’s Message for Reham Khan is Legit Savage!